Here is an Rfduino mounted on a small breadboard with three circuits — with TMP36 temperature sensor, CdS photo resister, and LED (not visible). 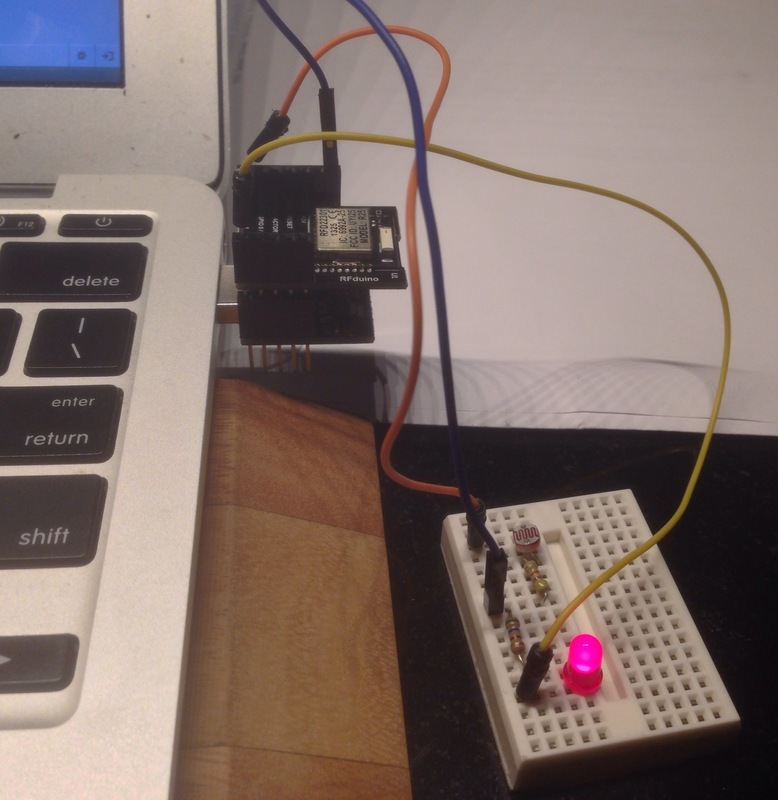 At the moment the Arduino sketch is wired to send temperature data, and the LED is turned off. The TMP36 circuit, from TMP36 to RFduino is: GND (left) to GND, middle pin to GPIO 1, right pin to AREF. Left is left when you face the flat side of the TMP36, opposite to what is shown in the picture. I am impressed by the communication performance and reliability of RFduino. In my office about ten feet from the device, the bluetooth signal strength is about -57db. Forty feet around the corner and down the hall, the reading is -85 db but sometimes shows -125 db. But I can reliably connect and read the sensor. Twice as far away around another corner the connection is iffy — connection about half the time. Another feature I like is that all the GPIO pins can be used for analogue read. You do not have to do anything special. 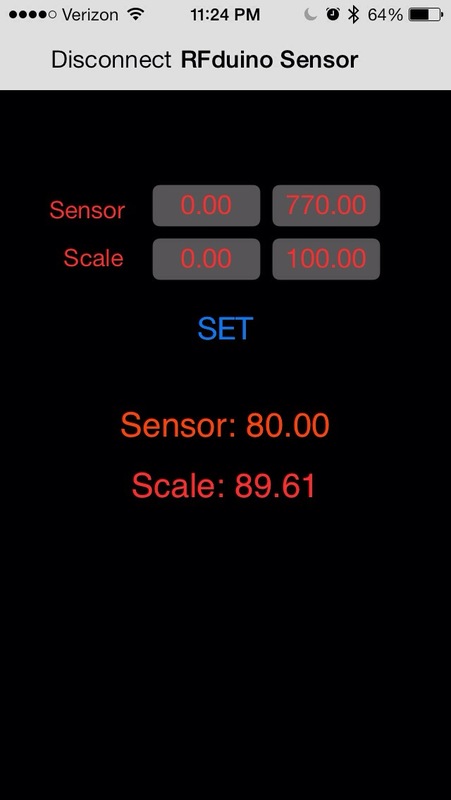 Just make the declaration int sensor = 1; and then say float sensorReading = analogRead(sensor); in your loop to read sensor data from GPIO pin 1. 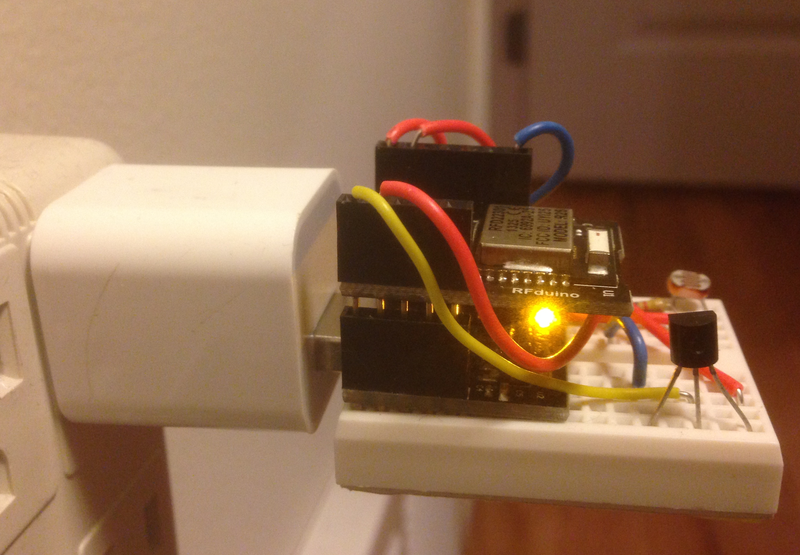 RFduino @ github — source code for RFDuino’s temperature code (measures CPU temperature) and iPhone app code. My code based on this.